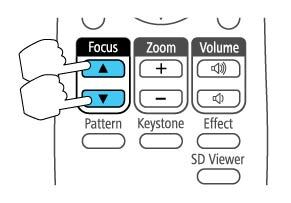 You can adjust the sharpness of the projected image using the focus buttons on the remote control. Press the Focus arrow buttons on the projector's remote control to adjust the focus. Press the Esc button when finished.